May buy 1 for yourself and any additional as gifts. May redeem 1 per customer. All sales final, no returns unless product is defective. No cash value. Shipping within the US only. Shipping is $4 per item and will be charged at checkout on www.hollywoodsensation.com. Please allow 7-10 business days for delivery. Expires 6 months after purchase. See the terms that apply to all deals. Rendered in luminous sterling silver plating, this accessory highlights necklines with timeless elegance. 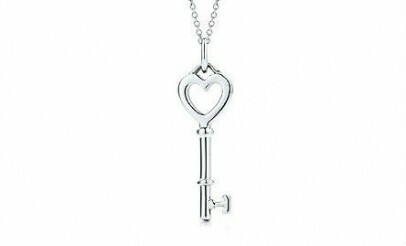 A sweet pendant makes for a meaningful keepsake. Chain: 18" L. Pendant: 0.75'' W x 2.5'' L. Lobster claw clasp. Sterling silver-plated metal. Imported. Hollywood Sensations has a direct supplier of high quality Sterling Silver Plated Stamped 925 and the finest freshwater pearls. Due to being an online retailer, their overhead is much lower than traditional jewelry stores and they are able to pass on the savings to their customers.